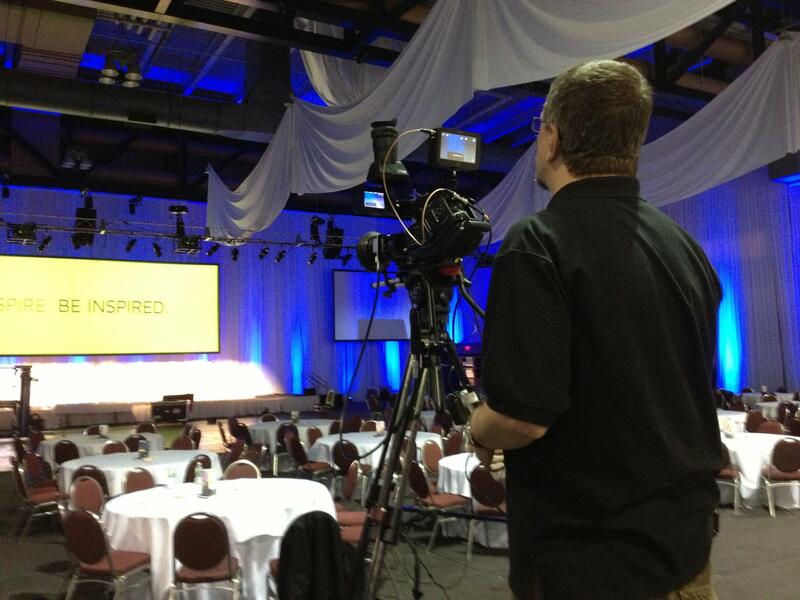 DeBergerac Productions provides visual support and documentary to Highland Hospital Gala | DeBergerac Productions, Inc.
DeBergerac Productions Inc., working for their strategic partners Cheshire AV, provided some stunning visual support as well as a moving documentary to Highland Hospital’s 2013 Gala. 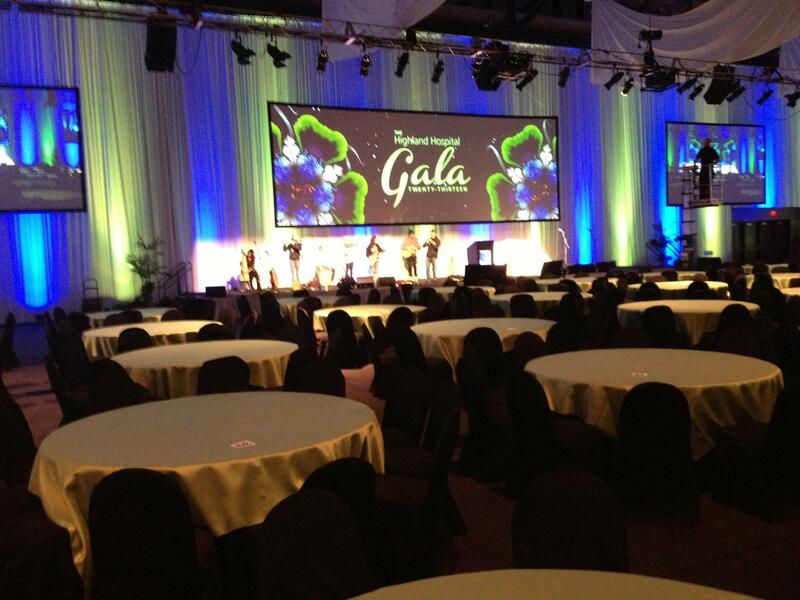 Held at Rochester’s Riverside Convention Center on March 16th, the Gala is Highland’s largest annual fundraising event. 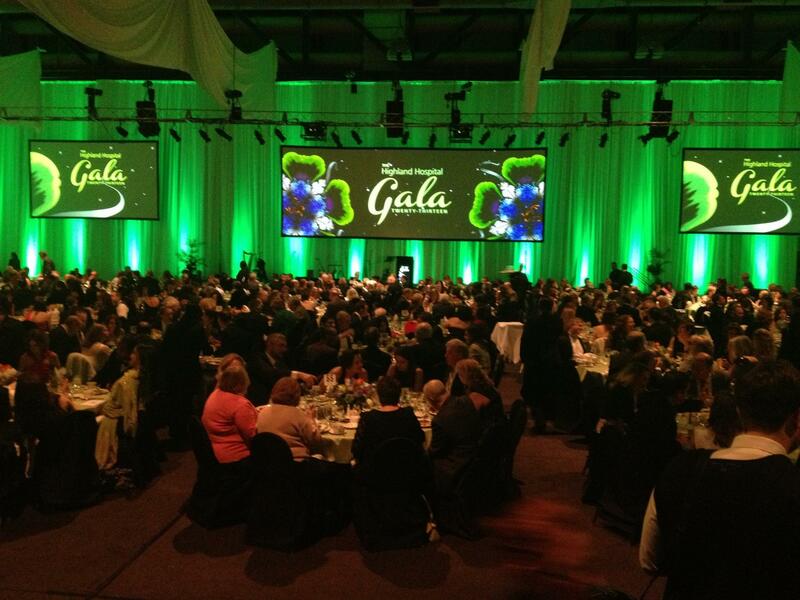 The 2013 Gala had a St. Patrick’s Day theme, and Cheshire set the appropriate scene. The white draped walls of the convention hall were bathed in emerald spotlights, and two large video screens flanked an immense central screen projecting animations of falling clovers and scenes of the Irish countryside. DeBergerac Productions provided the animations, created both from digital photographs, and slow motion footage of flower petals filmed in their Fairport studio. The animation’s slowly falling flowers and green hues gave the room a warm spring-like feel, in contrast to the winter night outside. Each year Highland dedicates and focuses the Gala on one department of the Hospital. This year the spotlight was on the Radiation Oncology department. DeBergerac produced a five-minute documentary on the “Rad Onc” department, featuring interviews with patients and medical staff. DeBergerac worked to capture the feeling family and caring the patients described, as well as the warmth and compassion the staff works to provide in what can be an overwhelming experience. In another bit of animation flair, the documentary closes with architect’s renderings and footage of the current department combined to give viewers a sneak preview of the renovations the Radiation Oncology area is about to begin. And proceeds from the Gala will go towards those renovations.